Why can we shoot down Iranian drones but not American ones? Answer is simple. So if we can shoot down Iranian drones why can’t we also shoot down US drones? If this seems like the government is caught in cowardice or hypocrisy, it is wrong. There is an obvious answer, only no one wants to hear it. PAF doesn’t shoot down US drones because GHQ and ISI want them. Ex-COAS Gen Kayani also termed the drone strikes as counterproductive in his public statements. In secret, though, Gen Kayani begged the Americans for more drone strikes. Gen Musharraf also secretly gave the Americans permission to carry out drone strikes in Pakistan. American drone strikes continued under Gen Raheel and now Gen Bajwa. Like their predecessors, each COAS gives some empty statement to Pakistani media about how these strikes are counterproductive but then does nothing. Why? Like so much about our national security policy, what we are told is a mixture of lies, half-truths, and mixed messages. GHQ cannot take direct action against US drones for two reasons: One, the US drone strikes are killing anti-Pakistan militants from TTP. In other words, they are helping us. Two, the US drone strikes are killing pro-Pakistan militants in Pakistan that do not ‘officially’ exist. Admitting that they do exist would also be admitting that our agencies are either completely unaware or are lying to the world. So why can we shoot down Iranian drones but not American drones? The answer is simple. Because GHQ does not oppose American drone strikes. They’re just too scared to tell you the truth. If a drone falls in Fata and nobody calls for dharna, does it even make a sound? For one thing, there is the obvious. Pakistan is poised to win the Champions Trophy, and against none other than India itself. The truth is right now is the perfect time to do any dastardly thing that you don’t want anyone to notice because quite honestly everyone is paying attention to one thing and one thing only and that will continue till at least the next few days. However, there is something else going on I think which is that there is uncertainty in the halls of power about just how far to push the Americans in the Trump era. Just a few days ago, Ambassador Aizaz Ahmed Chaudhary told the Americans that Haqqani Network ‘have moved into Afghanistan and need to be taken care of there’. Was he lying or was he merely uninformed? 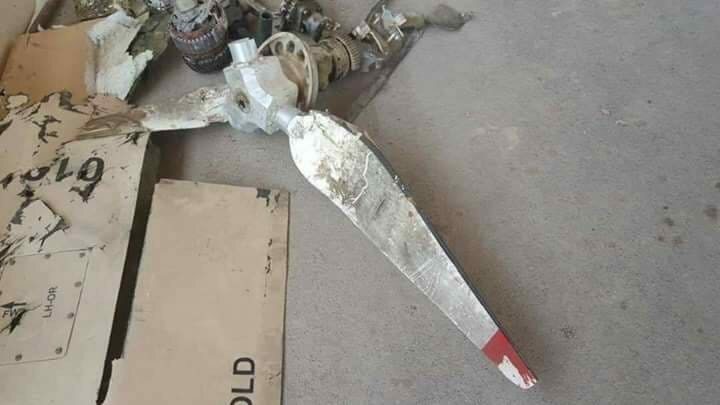 Either way, the fact that the Americans carried out a drone strike against Haqqani Network militants in Fata just days later shows that they already knew he was trying to sell them counterfeit goods. Was this strike the Americans sending a message that the old ways were not going to be tolerated any longer? There have been other messages sent loud and clear, such as the American Secretary of State Rex Tillerson announcing that ‘The president has asked the question specifically about our level of support and funding to Pakistan’ and that the US is ‘beginning an inter-agency policy review towards Pakistan’. Is it a coincidence that these announcements came on the heels of a drone strike against Haqqani Network militants in a place that our government swore they could not be? Whatever our past strategies toward the Americans have been, the election of Donald Trump as president has changed matters by creating much more uncertainty about how we will be viewed and whether our strategic concerns will be appreciated. 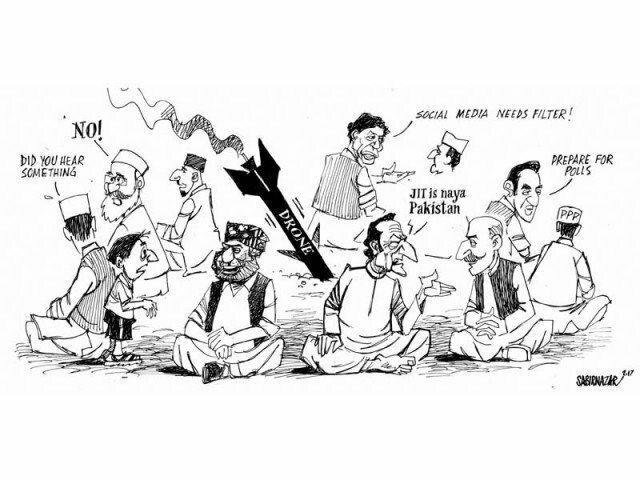 Strategies of the past that involved turning a blind eye to pro-Pakistan militants are not going to go unnoticed today. That is something, unlike this week’s drone strike, that we cannot simply ignore. Who’s Afraid of Declan Walsh? One of the more interesting sub-plots of the Axact thriller is the case of the New York Times reporter who broke the story. The reporter, Declan Walsh, was unceremoniously expelled from Pakistan two years ago, a fact belaboured by Axact’s defenders. I hear the British journo who wrote on #Axact was expelled from Pak for working w/#CIA in Abbottabad. His UK paper ditched him. New job NYT. Interesting, Pakistan’s Libtards are worshipping Declan Walsh like a demi-god, but patriots Wont forget his activities against the State. What exactly were these “activities against the state”? Well, like his report on Axact, they were investigative pieces that lifted the lid on some rather unsavoury dishes. When the Axact expose burst onto the scene, many were asking which piece it was that got the New York Times reporter expelled. There’s some disagreement about which was the ultimate sin, but what is more likely is that there was not one piece but a pattern in the reporting that was objected to. In 2011, Mr Walsh wrote a long report titled ‘Pakistan’s secret dirty war‘ about what’s going on in Balochistan – a topic that some quarters would prefer not be discussed. In 2012, he filed a report on Kamra Airbase attack that the target was “believed to be one of the locations where part of Pakistan’s nuclear stockpile” – a claim that was unwelcome for obvious reasons. In 2013, Mr Walsh reported that American military officials believed Pakistan was lying about drone strikes to cover up our own airstrikes. A few days later, his visa was cancelled and Declan Walsh ordered to leave the country immediately. For those of us whose perspective is molded by hyper-nationalist self-appointed ‘patriots’, that is to say all of us, this looks like a clear pattern of “anti-state activities” by the New York Times reporter. If we are willing to set aside our nationalist instinct towards defensiveness, though, another question emerges: Was any of his reporting actually wrong? Whether or not these reports were factually incorrect is something that is not easy to answer. Those who know for certain are not interested in the truth coming out. But is this actually serving the country’s interests, or undermining them? Questions about what is taking place in Balochistan are virtually unanswerable since the military has banned reporters from going there. The result of this is that all manner of allegations can be easily made but very difficult to disprove. Worse, if there are abuses taking place, they are not able to be exposed and corrected. This provides ready fuel to separatist propaganda and undermines the credibility of our own armed forces. Army officials strongly denied that Kamra airbase was a nuclear site, but that doesn’t mean much. They would deny it even if it were true. Nuclear weapons sites are a carefully kept secret in order to keep them secure. But are they really more secure for being secret? When no one is sure where the weapons are kept, it’s hard to know if they’re really being targeted or not. We have to take Army’s word for it, and it does not serve Army’s interest for the public to know the details of such sensitive matters. Would our nuclear sites actually be more secure if they were public? Out of curiosity I did a quick Google search and discovered that America’s nuclear sites can be seen on Google Maps! America does not worry about whether someone knows where their nukes are because America’s Army is certain that they are secure. What does it say, then, when we so defensively keep ours a secret? As for lying about drones, perhaps the less is said the better. Army will deny each of the claims made in Declan Walsh’s reports, and because they involve sensitive subjects, it would be virtually impossible to prove them. Actually, even if some secret evidence was leaked, it would simply be dismissed as a Western conspiracy against Muslims as has been done in the past. We will accept the denials because what other choice do we have? We will dismiss Declan Walsh as “anti-Pakistan”, and we will sincerely resent him, not because we really believe that he’s a foreign spy but because there is that sinking feeling in the back of our minds that makes us doubt what we have no choice but to believe. But arrogance has a tone. Denial has a deafening silence. And mirages are self-constructed. I contributed to all three, in my three months at Bol. And played along with the best of them, because of where they came from, who they are, and what it all meant. Khan’s astoundingly open and honest words sparked an uncomfortable feeling, like they were hitting a bit too close to home. Arrogance has a tone. Denial has a deafening silence. And mirages are self-constructed. Wajahat S. Khan may have contributed to all three in his brief time at Bol, but each of us has contibuted to all three during our lives as well. The arrogant tone of our insistence that we are the fortress of Islam. Our silent denial that jihadi ideology is devouring our nation. And the mirage that we have self-constructed that tells us that the number one intelligence agency in the world and most accomplished military in the world will keep us safe and secure…just as long as we don’t ask any questions. Will Gen Raheel Face Qatl-e-Amd Case? Justice Shaukat Aziz Siddiqui of the Islamabad High Court (IHC) has ordered police to register murder case against the then Islamabad chief of America’s Central Intelligence Agency (CIA) for a drone strike in 2009. One could argue that it is a complete waste of time and resources since the accused is no longer in Pakistan and the chances of US sending their former spy chief to face murder charges here are less than zero. The response being that the case provides not only symbolic importance but the opportunity to fully explore a case that determines a legal precedent about whether or not drone strikes are murder. 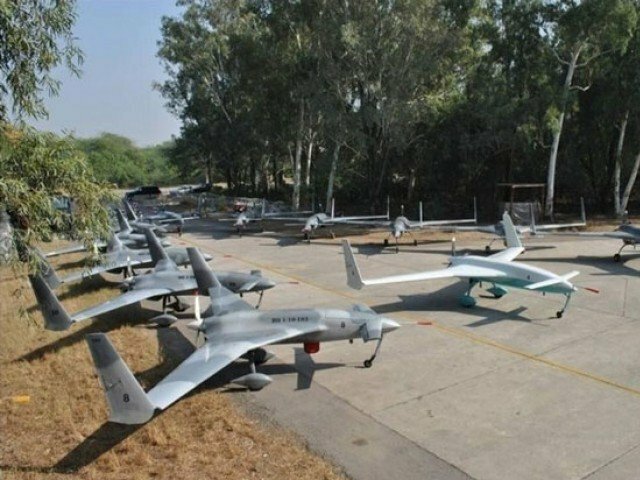 However, there is an interesting predicament: Last month, Army officially inaugurated Pakistan’s own fleet of armed drones, which Gen Sharif announced would be used in strikes against militants. If drones strikes qualify as Qatl-e-Amd for former CIA station chief Jonathan Banks, then drone strikes qualify as Qatl-e-Amd for COAS Gen Raheel also. The counter-argument to this would be that the state reserves the right to use force, but there are certain complications with this response. It is true that states reserve the right to use force in enforcement of the writ of state, but this power is not unlimited. The state cannot anyone kill without justification. It may be easy to bring a case against a CIA chief as that agency is unpopular, but in many parts of FATA, Pakistan Army is unpopular also. However there is another important point: Even if the state has the power to order drone strikes, the CIA defence could also include the question of whether the CIA drone strikes were carried out under the sanction of state authority. Remember when Wikileaks exposed that Army was secretly requesting more drone strikes in Pakistan even while anti-drone public sentiment was being whipped up? All of these questions are purely academic in nature, but they present the difficult problems that arise when Army carries out certain policies in secret while whipping up public sentiments against those same policies. This is not a justification for drones, but we have to face the fact that if we truly believe in ‘rule of law’, we can’t do the exact same thing we condemn others for doing and get away with it.